Richard Petty Motorsports with Click n’ Close Introduces the “Double Bubba” Bonus. Just in case you missed it . . . . Victory Junction was at the Daytona 500 last weekend. 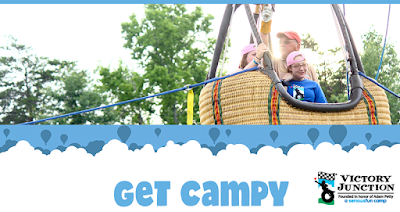 During the week Victory Junction, (a medically safe, yet exhilarating camp, that challenges children who have a serious medical condition to try things they never imagined possible,) hosted a few breakfasts as a meet and greet for donors. Not that a thank you is necessary for supporters of this awesome cause. NASCAR Race Mom loves how children entrusted to Victory Junction gain a greater understanding of their own strengths and courage. 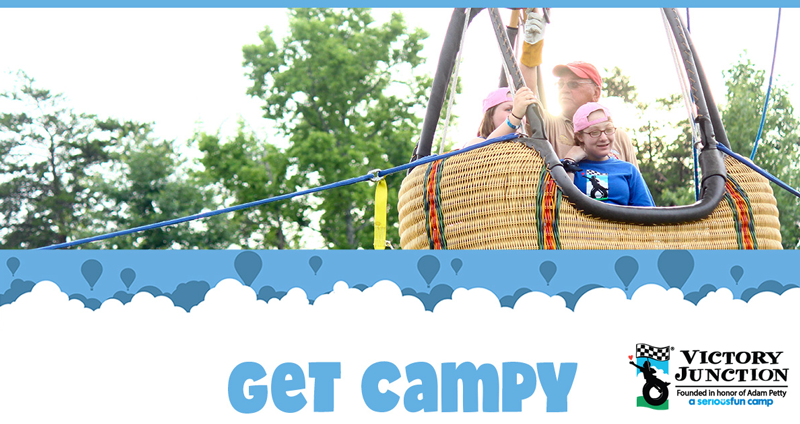 The camp creates lasting friendships with other campers who truly understand their situations. Coincidentally, it was recently announced that Click n’ Close, the “Official Mortgage Provider of NASCAR” and Richard Petty Motorsports, in partnership with the Motor Racing Network and the Performance Racing Network, announced a joint partnership with Victory Junction, establishing the “Fastest Lap” Award at the completion of each Monster Energy NASCAR Cup Series race in 2018 on both radio networks! At a press conference today, @ClicknClose announced they will make a donation to camp matching the fastest lap of every Monster Cup Race! Additionally @MRNRadio & @PRNlive will match the donation amount. For the fastest lap in each race, Click n’ Close will make a donation to Victory Junction, a medically-safe camping facility that provides a life-changing experience for children, ages six to 16, with chronic medical conditions or serious illnesses, at the conclusion of each race that corresponds with the fastest lap of the race in speed. MRN and PRN will then match that donation after each race. In addition, to celebrate its partnership with driver Darrell “Bubba” Wallace Jr. and Richard Petty Motorsports, Click n’ Close is introducing the “Double Bubba” bonus. If Wallace and the No. 43 Chevrolet Camaro ZL1 team turns the fastest lap during a 2018 Monster Energy NASCAR Cup Series race, Click n’ Close, MRN and PRN will double its donation to Victory Junction for that event. NASCAR fans are also challenged to join Click n’ Close to give back to Victory Junction by going to ClicknClose.com/NASCAR and make a donation of $43 or more to the camp. 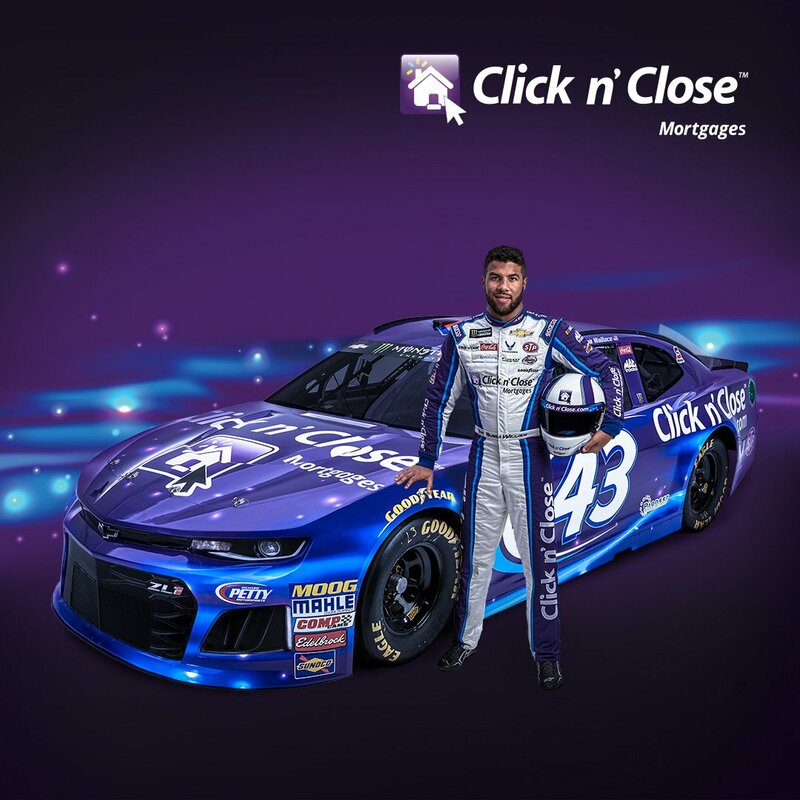 For every donation of $43 or more, Click n’ Close will donate a NASCAR officially-licensed Lionel Racing 1:64 Bubba Wallace Click n’ Close Chevrolet Camaro ZL1 die-cast car to the children who attend Victory Junction.